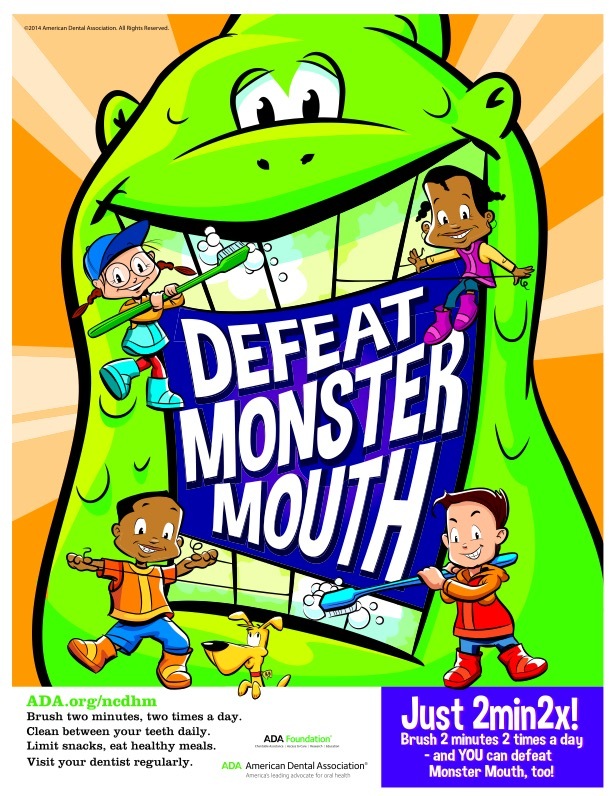 February is National Children's Dental Health Month. This is an annual event sponsored by the American Dental Association (ADA) to raise awareness for the importance of oral health. It began as a one day event in Cleveland, Ohio back in 1941. It was declared a month long celebration in 1981. Events now include contests, dental office tours, free dental screenings and classroom presentations, among others. A large nationwide event is Give Kids a Smile Day (GKAS) which began in 2003. The purpose of this program is to provide free dental services including educational, preventative and restorative services to children from low income families. This year, Forcier Orthodontics has joined the Give Kids a Smile Day event at Just4Me Pediatric Dentistry in Getzville, on February 6th. We really enjoy being part of a such a rewarding program in the community. Also during the month of February, our team visits local elementary schools to provide presentations on the importance of regular dental visits, learning good brushing habits at an early age and healthy snacks. The kids really enjoy these visits as much as we do! At Forcier Orthodontics, we cannot overemphasize how important good oral hygiene is while you are going though orthodontic treatment. We evaluate hygiene at each and every visit and have a protocol in place to help you should we notice you could be brushing a bit better. Consequences of poor brushing include decalcification (white spots on the teeth), cavities, swollen red gums, and bad breath. For more information on oral hygiene please visit our website, http://www.smilewny.com/orthodontic-faqs or ask our in-house registered dental hygienist, Kim, at your next visit! 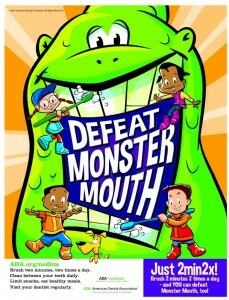 We can help you "DEFEAT MONSTER MOUTH"